As you would expect, Hillary Clinton's congressional hearing on the 2012 Benghazi attack was not a very stylish event. Clinton wore one of her signature monochrome pantsuits, and everyone else followed suit. 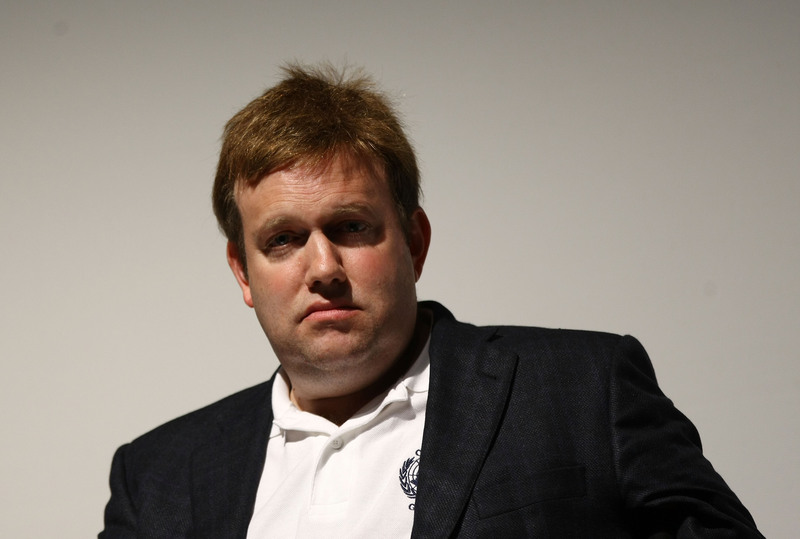 However, political consultant and pollster Frank Luntz wore patriotic sneakers to the hearing, going against the unspoken rule in Washington that suits and dress shoes are the only acceptable forms of clothing. Luntz's shoe choice was so wacky that reporters at the hearing were tweeting about his kicks while Clinton was being grilled by the House Select Committee. The sneakers truly belong in Washington, since they mimic an American flag, with a blue-and-white star trim and red laces. If members of Congress and others in the political arena can wear American flag pins and ties, then why not red, white, and blue shoes? They really make it clear that you love your country, in case anyone's questioning your level of patriotism, or if you want to proactively prevent such questioning. They also have the same effect as a mullet — the outfit screams "business" up top but "party" on the bottom (just the look every political pundit should be trying to achieve). These sneakers are so simple, yet say so much. Hopefully, Luntz's sneakers will start a new fashion trend in Washington, and politicians and their staff will begin wearing red, white, and blue stilettos, scarfs, and complete suits. Watching C-SPAN would be much more entertaining, and picking your favorite representative out of the crowd would be a lot simpler. The only thing that would have made the fashion statement better is if Clinton also had a pair of the patriotic sneakers. I'm sure she would love them.